Did you know that today, Tuesday, November 29th is #GivingTuesday? I am proud to announce that niecyisms and nestlings has part­nered with Bloggin' Mamas and Carter’s to pro­mote Giv­ing Tues­day, a pro-social movement that encour­ages man­u­factur­ers and oth­er par­tic­ipants to sup­port char­i­ta­ble giv­ing on the first Tues­day after Thanks­giv­ing. 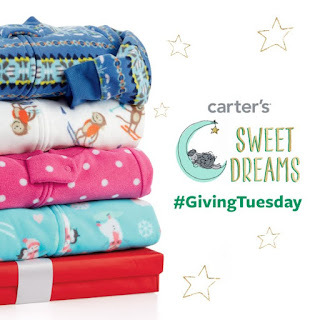 Let's help Carter's share sweet dreams to kids in need on Giving Tuesday. Thank you to Carter's for the opportunity to participate in a Bloggin' Mamas Social Good campaign. I am receiving a Carter's promotional item as a thank you for supporting this worthy cause. This year marks Carter’s first Pajama Program for Giving Tuesday. For every pair of Carter’s paja­mas purchased online today at Carters.com or at one of Carter’s 650+ retail stores, Carter’s will donate one pair of America’s favorite jam­mies to kids in need, up to 100,000 pairs. The little things in life matter the most. We have a family tradition of wearing matching pajamas as a family on Christmas Eve. 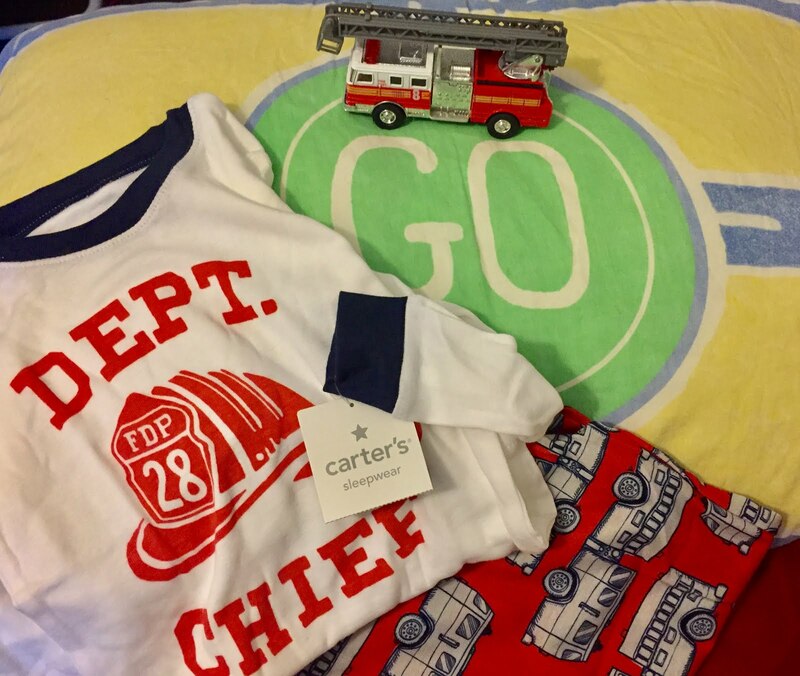 My kids treasure each pair of pajamas and I can imagine the gratitude of kids receiving Carter's Pajamas because of your support on Giving Tuesday. With close to 900 styles, including 1-piece, 2-piece, 4-piece, and gown options in cotton, flannel and fleece in sizes newborn to 12 years, parents and gift-givers are sure to find the perfect PJs for the little ones on their holiday gift lists. Carter's has been a family favorite clothing brand with each of my three kids, knowing that we are supporting a company that gives back. Please Click to Tweet and Spread The Word! Disclosure: I am sharing this as part of a Bloggin' Mamas Social Good campaign. I am receiving a Carter's gift card as a thank you for supporting this worthy cause. All opinions expressed are my own. As the owner of this blog, niecyisms and nestlings, I am compensated to provide my opinion on products, services, websites and various other topics. This blog may contain affiliate links. Even though, as the writer/owner of this blog receiving compensation for posts or advertisements, I will always give my honest opinions, findings, beliefs or experiences on those topics or products. This blog abides by word of mouth marketing standards. I believe in the honesty of relationship, opinion and identity. The views and opinions expressed on this blog are purely my own. Any product claim, statistic, quote or other representation about a product or service should be verified with the manufacturer, provider or party in question.